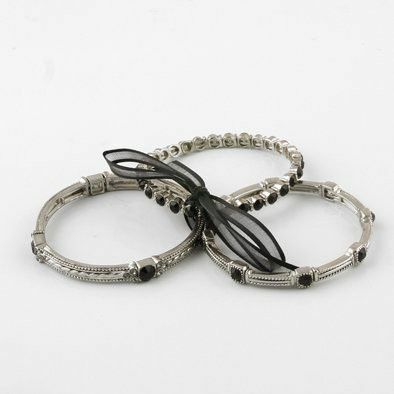 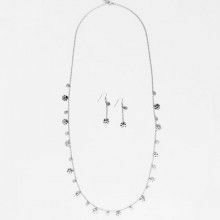 This fashion bracelet set comes with three different silver tone stretchable metal bracelets featuring glinting black faux gemstones. 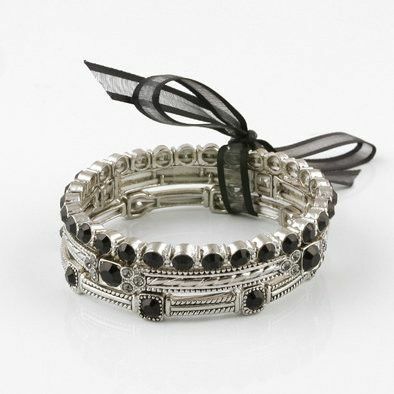 One of the bracelets features clear grey crystals accenting the black stones, set in ornate silver tone metal. 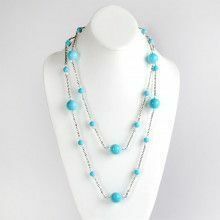 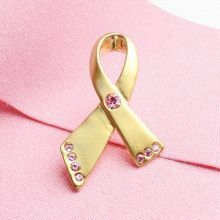 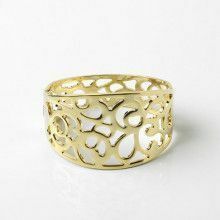 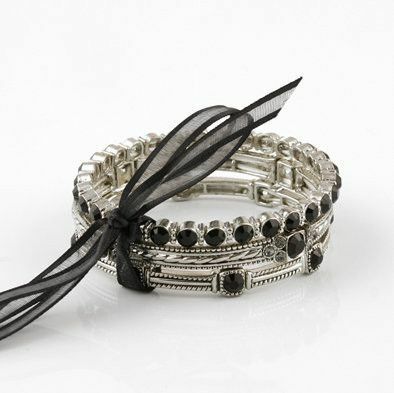 The three bracelets come tied together with a pretty black ribbon.